Will you be in Orlando, Fla., on Halloween? 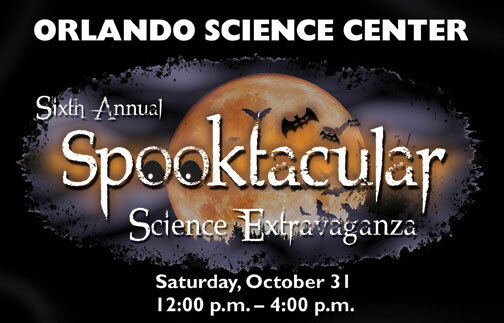 Then you might want to spend some time at the the Orlando Science Center, which will be holding it’s annual Spooktakular Science Extravaganza from noon to 4p.m. on Oct. 31. The event features costume contests, face painting and, of course, creepy science. Kids of all ages and explore the science of “Monsterology” while they play trick or treat. The event is included with general admission and is free to Science Center members. For more information, visit www.osc.org.